This one of a kind jewelry can be made from flowers from any occasion. Each piece is made per your request - no two are alike. Your flowers are guaranteed to be used for your order only. Leftover flowers are used for your future orders and are kept for one year. Flowers may be wrapped in tissue paper or paper towels. Cut stems to one inch and put into a manilla type envelope (not plastic). Please include contact information, wrist measurement, style of bracelet and color choice and mail to Sue Vollbracht, PO BOX 421, Camp Point, IL 62320. Bracelet sizes are wrist measurement. 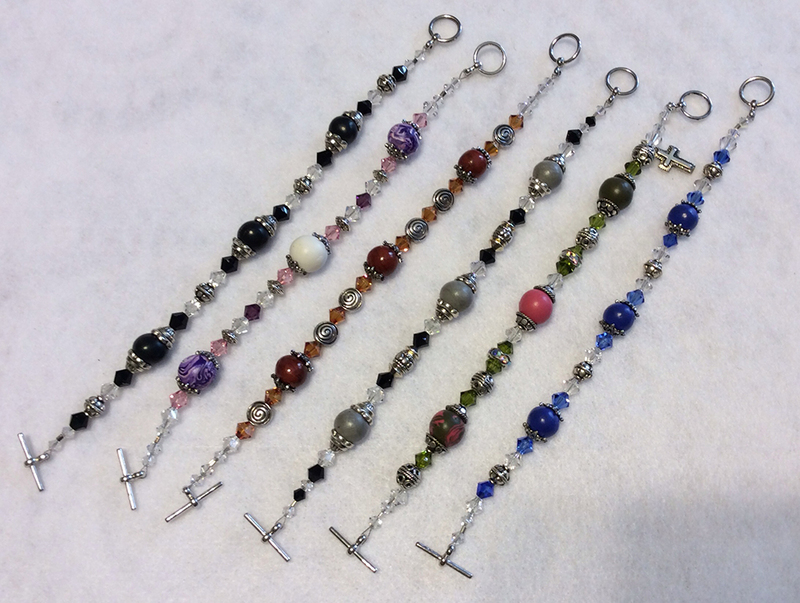 Choice of memory wire, elastic, or clasp. Base metal is used for bracelets unless sterling silver is requested. Additional cost applies. 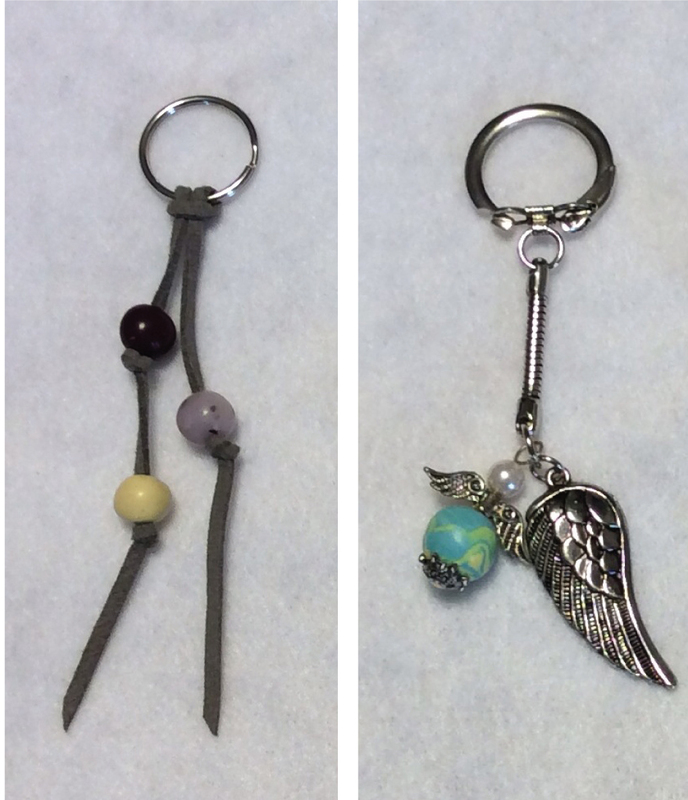 Two styles of key chains to choose from. 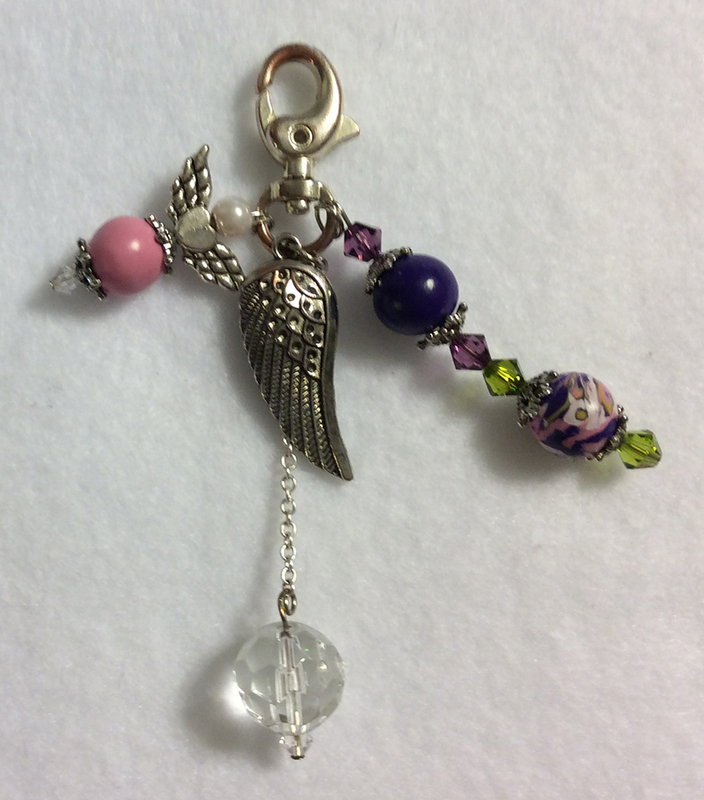 Typical purse charm design. Colors will vary per your order. 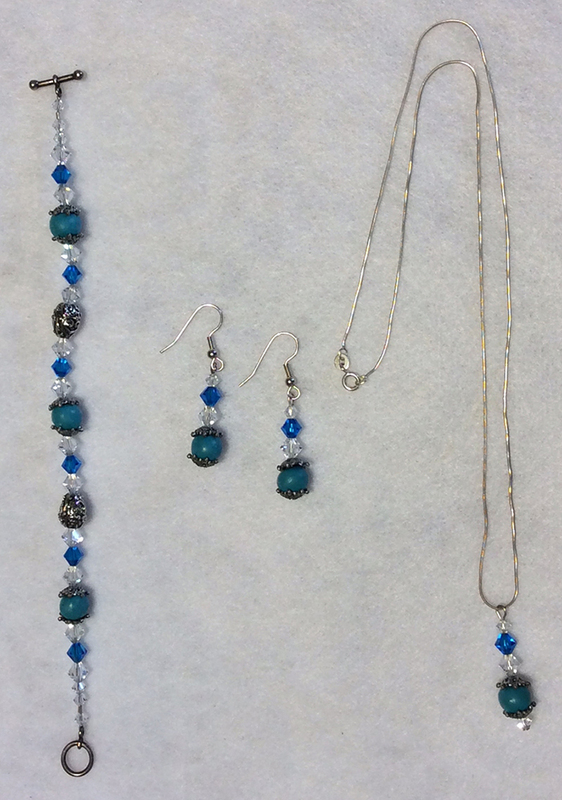 Necklace, earring and bracelet sets are also available. All flower beads are water resistant, however, it is not recommended they be submersed in water for long periods of time. Half of the purchase total is due at order placement. The remainder will be due upon receipt of your order. All orders are final and no refund will be made. If you experience a problem with your keepsake, it can be returned for repair within 60 days. Copyright 2014 A Floral Memory. All Rights Reserved.